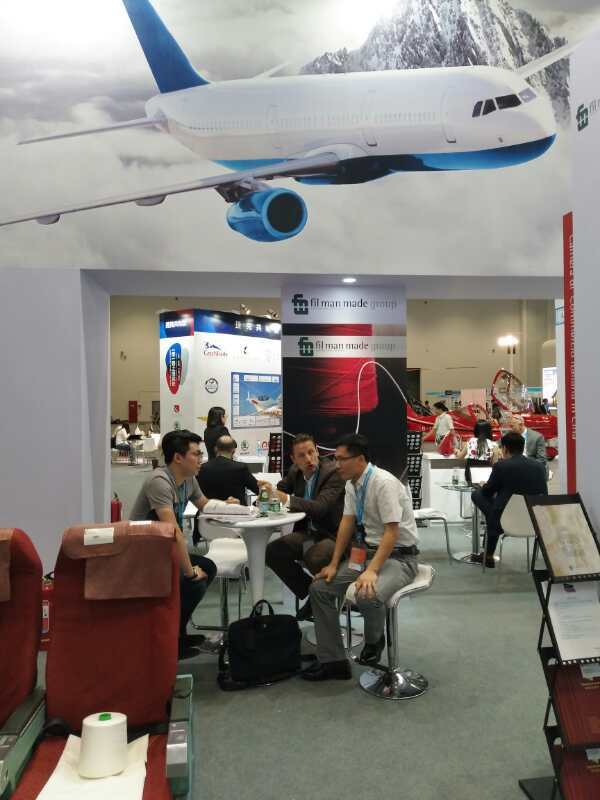 The Aviation Expo in China 2017 was held from September 19th to September 22nd at the China National Convention Center in Beijing. 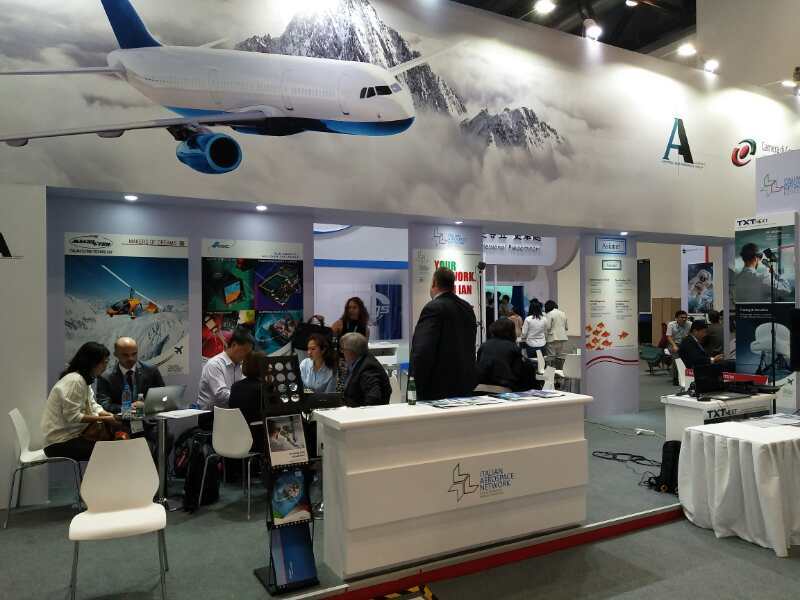 Six Italian companies, Leonardo, Italian Aerospace Network, FMMGCN, Nexion Group Corghi, Cefla and AsiaNet, took part to the exhibition at the China-Italy Chamber of Commerce pavilion. The first day started with an opening ceremony. 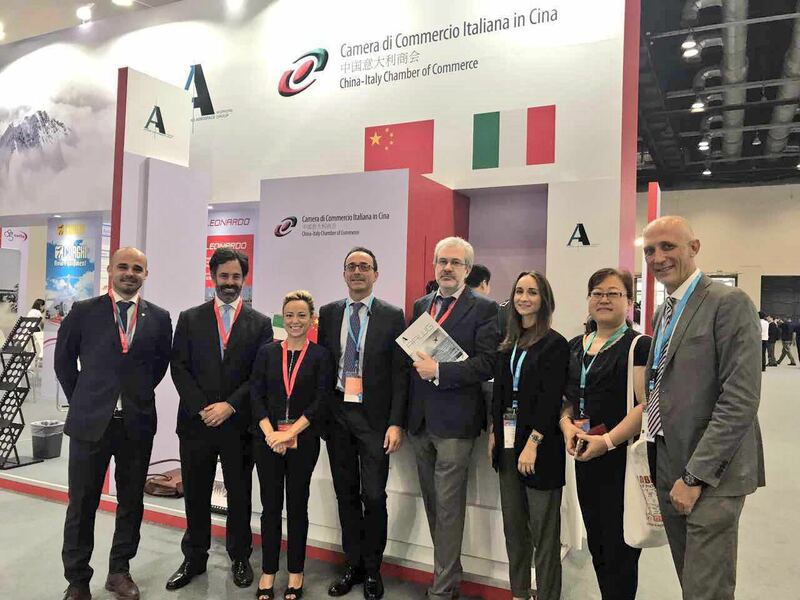 Italian Embassy, represented by the Head of the Economic and Commercial Office Emanuele De Maigret, and Italian Trade Agency, represented by the Vice Director Filippo Petz, attended the event. 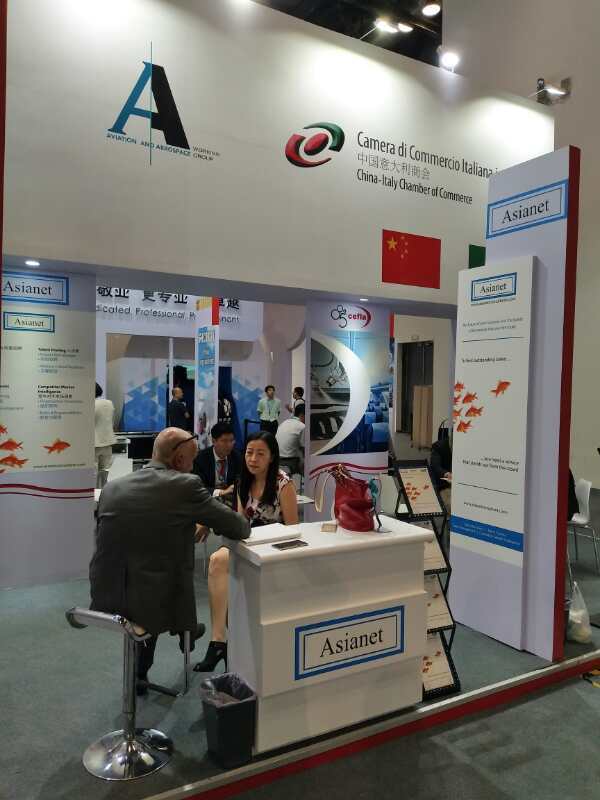 Six Italian companies - Leonardo, Italian Aerospace Network, FMMGCN, Nexion Group Corghi, Cefla and AsiaNet - took part to the exhibition at the China-Italy Chamber of Commerce pavilion (100 sq). 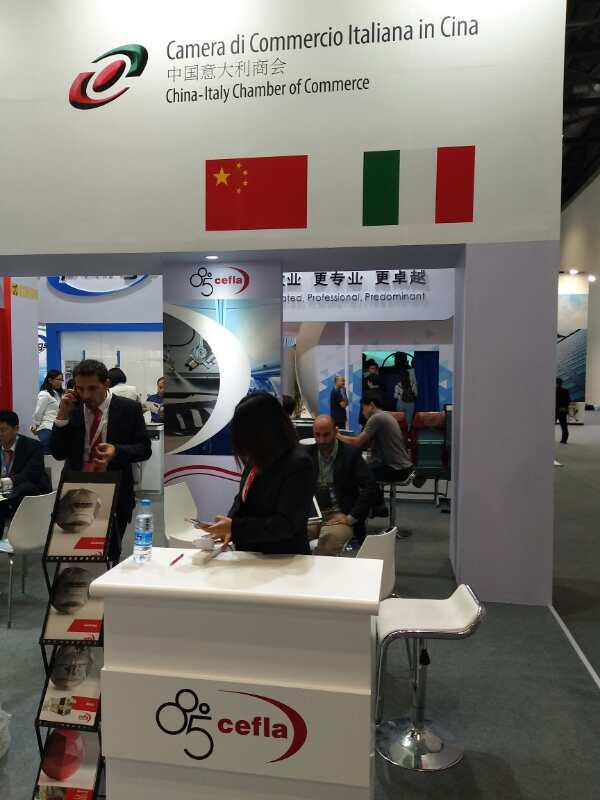 This initiative had been purposed by the Working Group AAWG (Aviation and Aerospace Working Group), established last year on March 28th at the CICC establishment, with the participation of 21 companies of the Italian aeronautic and aerospace supply chain in China. 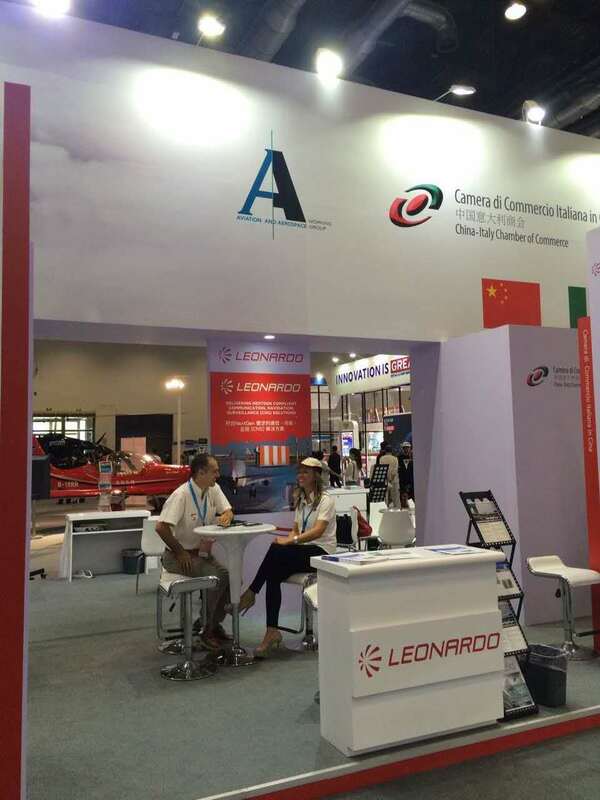 Among them there are main constructors , such as Leonardo, association of Italian Enterprise, which is Italian Aerospace Network, producer of furniture and technologies, like Zoppas Industries, Cefla, Marposs, FMMGCN, Nexion Group Corghi, Logic, Suzhou Metal Group, Flenco, EptaInks, Loccioni, Pama and finally the service supplier of the industry, as Geodis, Savino del Bene, Gianni Origoni-Gruppo Cappelli & Partners, AsiaNet Consulting, Staufen, Horizon, de Bedin & Lee LLC, Wang Jin & Co. 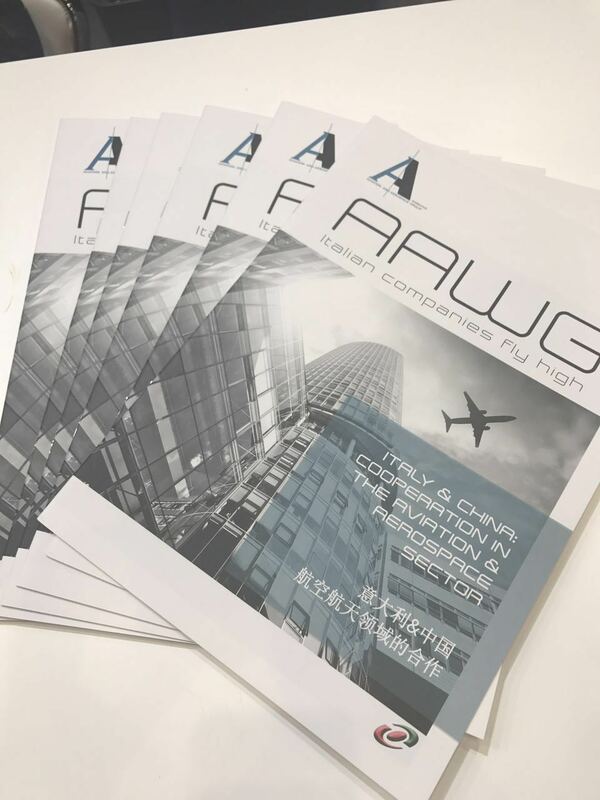 Some of the companies of the AAWG had produced a Brochure dedicated to the Italy-China collaboration for the Aeronautic and Aerospace industry, and it could be downloaded for free and available in both English and Chinese language in the official website of CICC. You can find the brochure in the following PDF. The event has received good media coverage, click here to read the article by Il Sole 24 Ore. 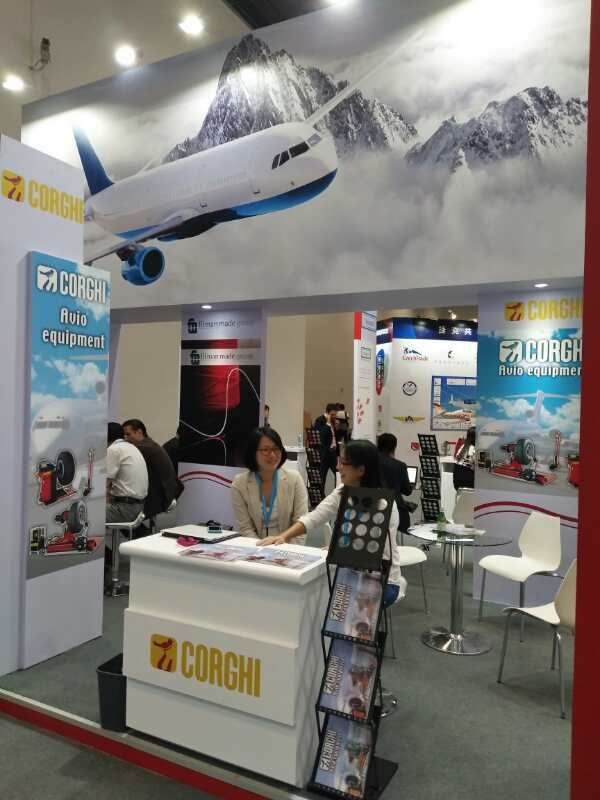 Since the companies have reported positive feedback, AAWG is already working for organizing a joint participation to Air Show 2018.